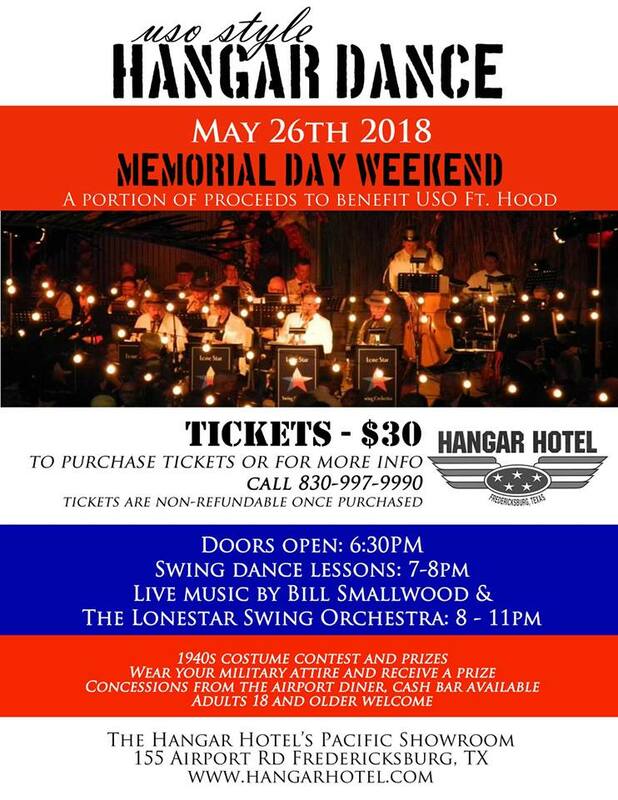 Saturday, May 26th - The Lone Star Swing Orchestra will again be performing 1940's style music at the Hangar Hotel, Pacific Showroom in Fredericksburg. From 7PM to 8PM there will be swing dancing lessons. If you can't make it this time around, we have dances scheduled for September 1st (Labor Day Weekend) and December 31st (New Year's Eve).